Alii and welcome to Cliffside Hotel Palau. When you come to Palau, stay with us at Cliffside Hotel Palau and you will experience the family-owned and operated hospitality that extends the true Palauan spirit of welcome. Situated on a quiet hillside overlooking Koror and its lagoon, Cliffside Hotel is Palau's best kept secret. Also, it is only 5 minutes away from downtown Koror, and all stores and dive shops. During your visit to Palau, your days begin with a sunrise view, while hundreds of emerald mushroom islands strung together in a sapphire lagoon await your discovery. At the end of your daily activities, you will always find comfort and relaxation at Cliffside Hotel like you are accustomed to at home. There is a comfortable cocktail lounge, a full service restaurant both indoors and outdoors, and a pool with poolbar/jacuzzi for you to enjoy. At Cliffside Hotel service sets us apart, and we will try to accommodate any special request you may have. 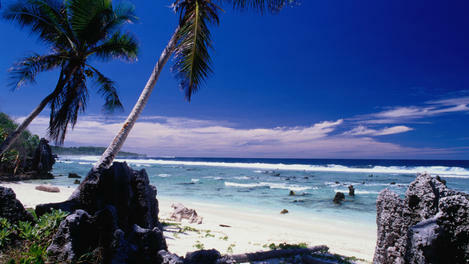 We want Cliffside Hotel to be the perfect complement to your vacation or business trip in Palau.